Mandy started on her career path at the age of 14 as a swimming instructor and coach,teaching people about movement and their body. Having lived all over Canada, she has always studied and worked in the field of physical health and wellness. She received a Bachelor’s degree in Physical Education/Kinesiology from McMaster University in 1991. 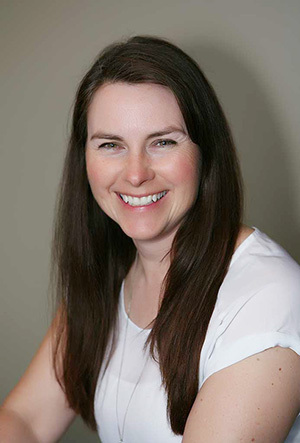 Here at Growing Connections, she works with clients who face issues ranging from concussion, auditory or visual processing challenges, attention deficit, sensory processing disorder, learning and behaviour challenges, as well as stroke, vertigo, and other balance challenges. She is experienced and trained to work with both children and adults. Mandy is a Certified Interactive Metronome practitioner, and uses the computer based system here in the clinic. It is an assessment and treatment tool that focuses on motor planning and sequencing, both of which impact every aspect of daily life, learning, school, work, and even sports performance. Mandy believes in the importance of moving your body, and the link that physical activity has with happiness and wellness. Maintaining or regaining strength, balance, and flexibility are the keys to mobility and physical confidence. She often works with children experiencing gross motor issues to help them gain physical co-ordination skills, balance as well as confidence. Being active outside is important to Mandy; she is also a fitness instructor and certified personal trainer who loves to introduce people to running. In addition, she is passionate about the field of Midwifery, and continues to be involved in its university education programs. She is happy to call Port Elgin, Ontario home, and loves sharing all the great things this area has to offer with her 5 wonderfully active children.